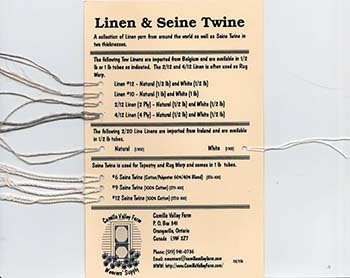 See the sample card shown below for actual sizes. 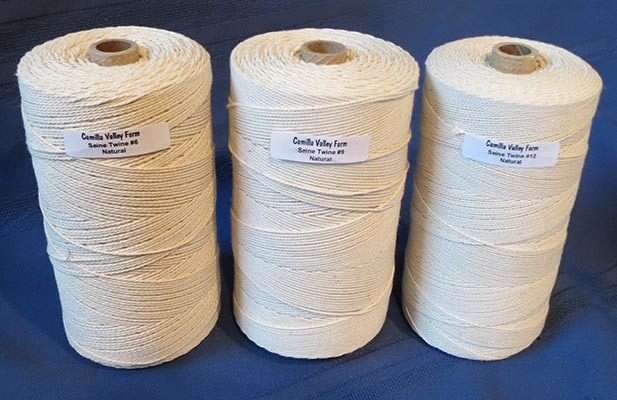 Camilla Valley Farm also has a selection of Irish and Belgian Linen which can be used as rug warp as well as Cottolin yarn in a wide range of brilliant colours and thicknesses. 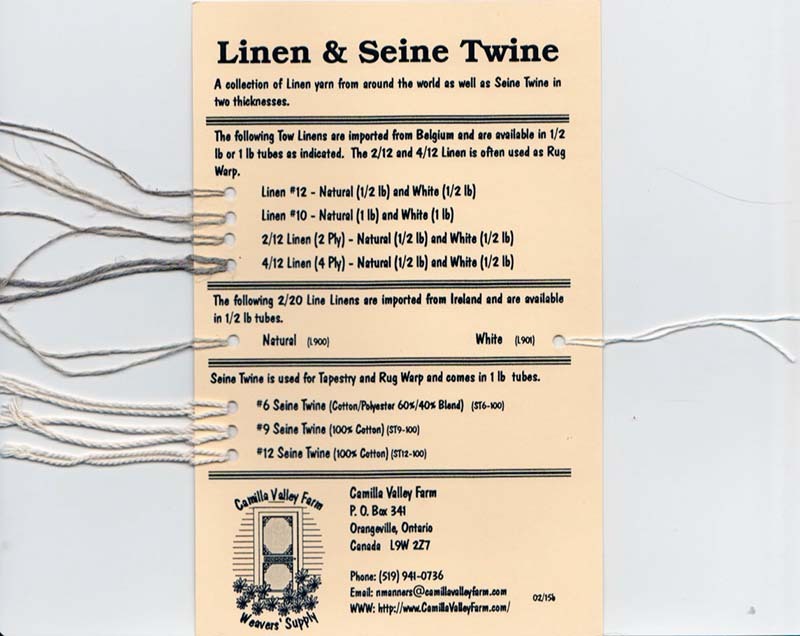 A Sample card with our Seine Twine as well as our Linen fibres is shown below. While it provides a fairly accurate reproduction of the colours and sizes, their appearance can vary from computer monitor to computer monitor. We suggest you verify colours with the sample card before ordering to ensure your project turns out as expected. See below for information on how you can receive our sample cards.